Located in central Florida, Port Canaveral is close to one of the most popular vacation destinations in the United States. 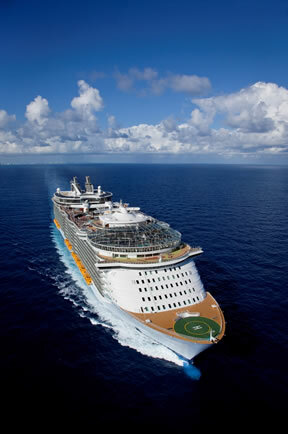 Various amusement parks, beaches, and other attractions make a pre- or post-cruise trip perfect for the whole family. Several major cruise lines such as Carnival, Disney, Norwegian Cruise Line and Royal Caribbean leave from Port Canaveral, Florida. 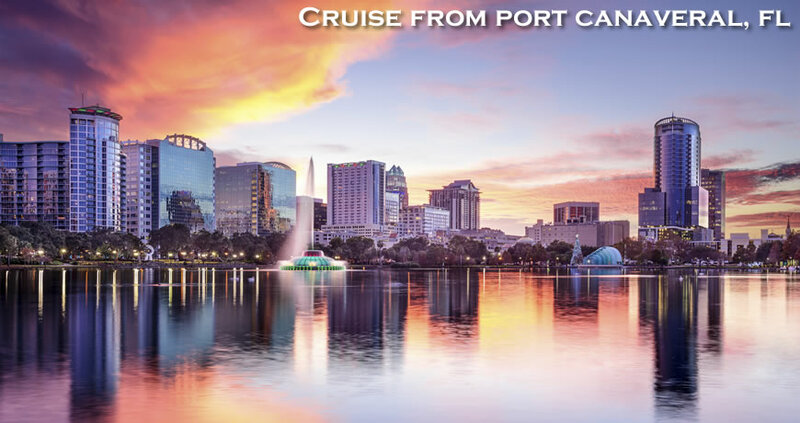 For those that need to fly into central Florida for cruises that depart from Port Canaveral, Orlando International Airport (MCO) is the closest option. It takes just under an hour to travel the 45 miles to the pier. Gated, 24-hour surveillance parking is available for cruise passengers that are driving to the pier. 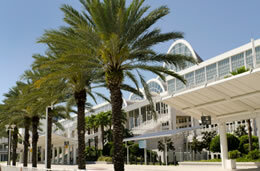 Central Florida is one of the most popular vacation destinations in the country! Maybe it’s the great weather, or maybe it’s just that there’s so much to do, but add a cruise to the mix and it’s a vacation nothing short of amazing! Orlando Theme Parks: Disney World, Universal Studios, Sea World, and Discovery Cove! What a line-up of attractions in the nearby Orlando area. What a combo vacation…a few days in one of these exciting parks and then some R&R cruising the Caribbean! This vacation certainly has something for everyone. Kennedy Space Center: A wonderful way to learn about our space program. 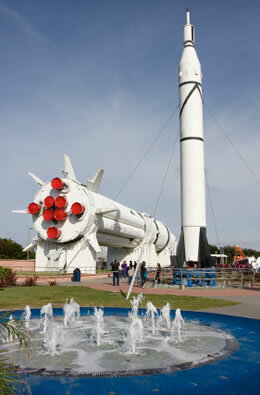 Walk through the Rocket Garden, featuring eight massive rockets from past eras. The Visitor’s Center has an IMAX Theater, which shows 2 different movies, and the actual Mercury Mission Control Room from the 1960s. There are hand-on exhibits and even a shuttle simulator. What a great way to spend the day. Cocoa Beach: Miles of beautiful beaches perfect for catching some rays, building sand castles and searching for seashells! Cocoa Beach provides some of the best surfing on the east coast. How about taking some surfing lessons! And at the Cocoa Beach Pier you’ll find lots of restaurants, bars and shops. Merritt Island Wildlife Refuge: Guests can enjoy fishing, hunting, and boating. View wildlife along the Black Point Wildlife Drive, a seven-mile one-way self-guided auto drive tour. There are waterfowl, wading birds, shorebirds and you will likely see alligators sunning themselves on the banks. River otters, bobcats, various species of snakes, and other wildlife may be visible as well. There is also a manatee observation deck. Brevard Zoo: Their mission statement is “Wildlife Conservation through Education and Participation”. The zoo is home to over 480 animals, representing 130 species. Although somewhat small size wise, this zoo is big fun! The little ones especially enjoy feeding the deer and giraffes. 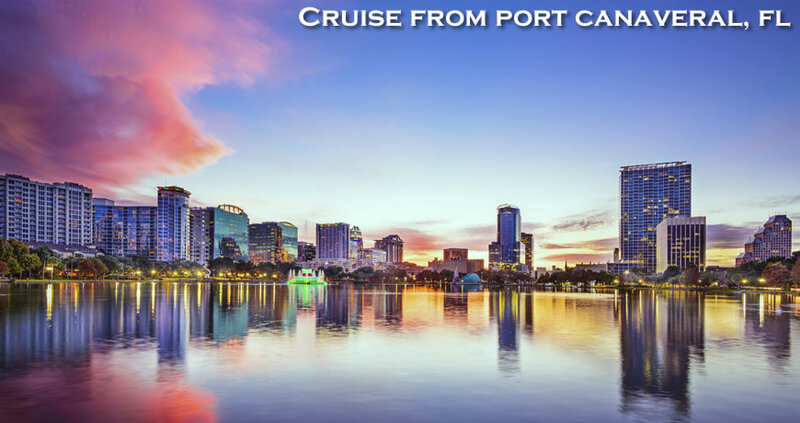 For more information on cruises from Port Canaveral, please call Direct Line Cruises at 1-800-352-8088. •Take Airport Exit 1A to SR 528 Beach Line Expressway East. •Remain on SR 528 East all the way to Port Canaveral. •Upon approaching the port area, follow the signs indicating Port Canaveral “A” Cruise Terminals. •From North or South on I-95 take the SR 528 Beach Line Expressway East.